Excerpts from the book The Splendid Magic of Penny Arcade: The 11 1/2 Anniversary Edition. Reprinted with express permission of the author and publisher. Publisher's Note: Chronicling the misadventures of two obsessed video gamers, Penny Arcade is hilarious, irreverent, and rich with the arcana of geek life. Fans treat the strip's biting, intelligent commentary on gaming culture like scripture, and its creators are regarded as the ultimate gaming tastemakers. 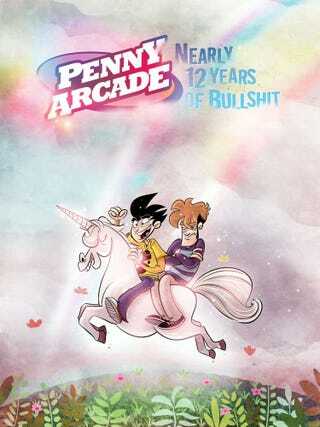 Their devotion has made Penny Arcade a pop culture phenom, and Penny Arcade has rewarded its fans with a gorgeous anniversary book celebrating 11-1/2 years of Penny Arcade, offering an abundance of new and never-before-seen material. • Mike and Jerry answer fans' questions!